Gray tones produce a feeling of coolness, especially when incorporated via marble or tile. The guest bath pictured below is a prime example. 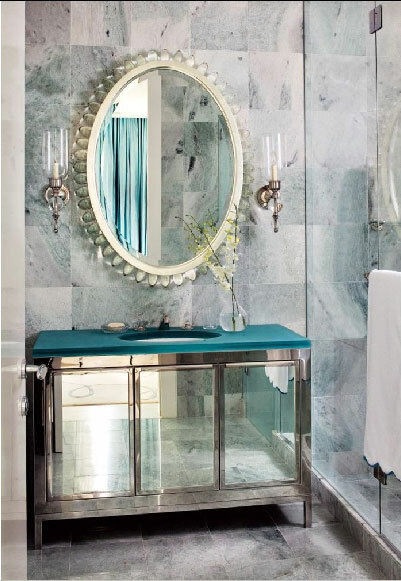 The gray marble, combined with the blue counter top and the mirrored vanity cabinet is refreshing. We like that the theme is carried from the bedroom, as is seen in the mirror’s reflection of the blue drapes hanging there. Another nice thing about this bath is that is that while it is cool, it is not cold. If you would like to get this look, let Colby Interior Design get you there! Posted in Wallpaper by lynnda | Comments Off on Eskayel – Wonderful Wallpaper. Posted in Furniture by lynnda | Comments Off on Skram Furniture. 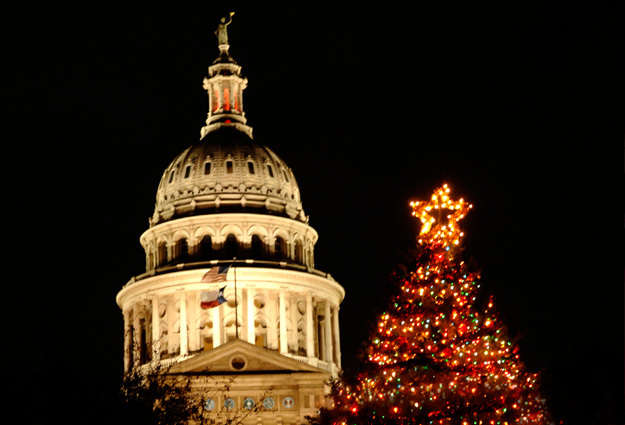 Posted in Colby Design, Inspiration by lynnda | Comments Off on Merry Christmas, Austin! Stewart Haygarth is a British designer who takes everyday objects, even trash at times, and transforms them into something beautiful. Check out the chandeliers below. At first glance, they simply look like contemporary lights, but take a closer look, and you will see that the first chandelier is actually made up of hundreds of eyeglass lenses, which actually serve to magnify the light. The second light below is comprised of eyeglass frames…interesting and unique, for sure! The Christmas Season is upon us! We at Colby Design just love the holiday season…it is a whole new reason to create a different look in your home, which is something that every designer loves. Because you are probably about to (or already have) pulled the decorations out, we want to pass along a holiday decor tip. 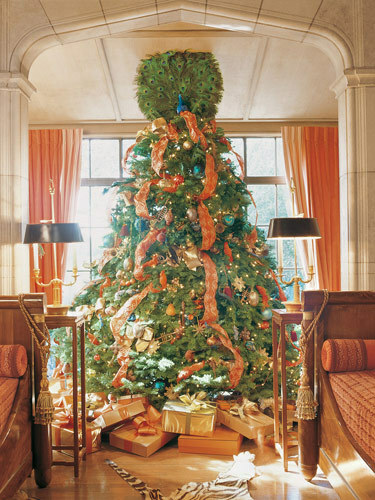 Decorate your tree and your space in colors that reflect your room’s color scheme. That simple concept will transform the whole room (instead of just the corner where your tree is), into something that looks sophisticated and carries a common thread throughout the space. Below are some examples. Enjoy! Banquettes are great. They are space savers, for those homes with limited room to dine, or for those who are simply wanting to add a cozy corner to their large space. What we love about them is the charming atmosphere that they create. 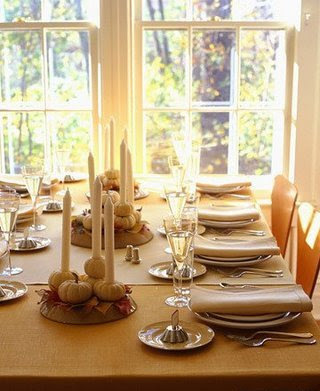 Their is a certain intimacy about dining in a small comfortable spot that is lost on a large dining table. 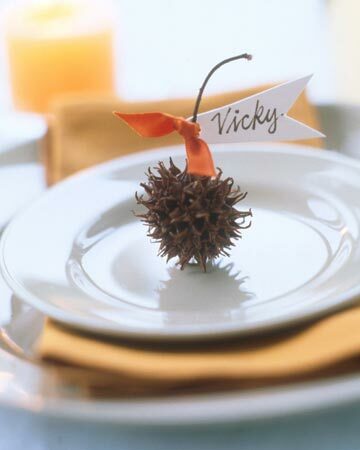 Below are some great little banquettes that add that touch of charm and warmth. Posted in Architecture, Furniture by lynnda | Comments Off on Banquettes: Cozy Spots That Add Charm. Brick – Wall-mounted ceramic shelves with concealed installation hardware. Posted in Accessories by lynnda | Comments Off on Lacava – Innovations In Your Kitchen & Bath. This time of year, warm throws and blankets are a must for cold evenings by the fire in your Austin home. How better to to warm yourself than with a silky cashmere, wool, or alpaca throw? Check out some of our finds on some great looking (and feeling) ways to keep cozy during this holiday season. These would also be a great gift idea. 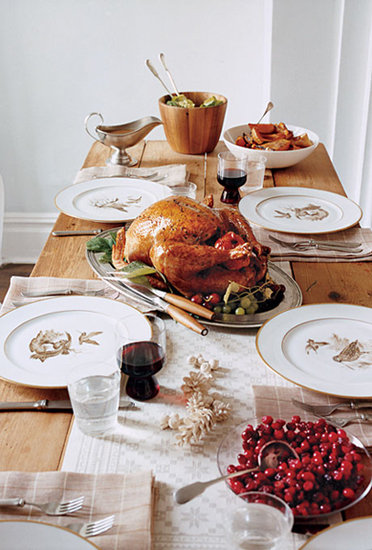 With Thanksgiving around the corner, you are probably scurrying, trying to pull together last minute details for this festive affair. 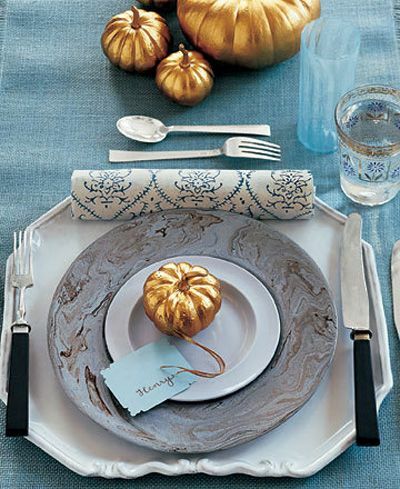 Maybe you haven’t had time to think about your table setting, yet, and it will be done last minute, or maybe you have been thinking about it for weeks. 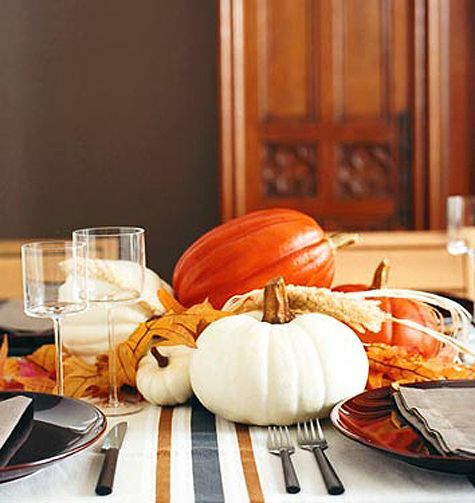 Either way, we have found some very simple ways to dress your Thanksgiving table, wow your guests with understated seasonal flair, and at least look like you’ve been planning all along!